The design of the Rancho Mirage Bed was inspired by furniture of the Spanish Colonial villas. Such furniture was a combination of solid construction demanded by the new environment and the Baroque ornamentation exported from Spain. 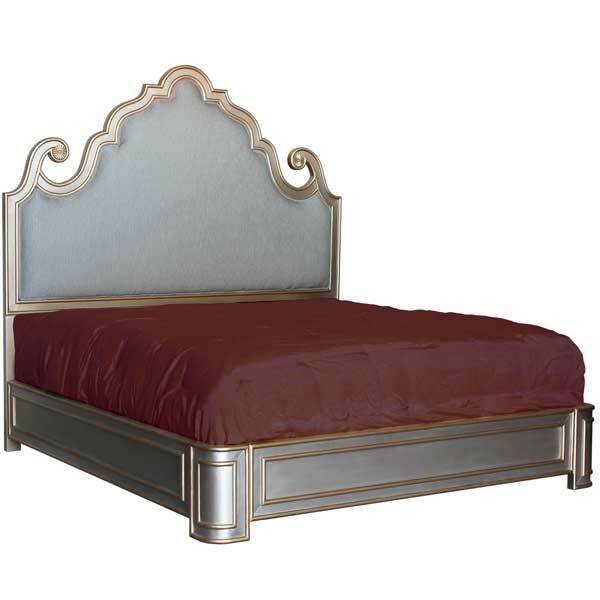 The bed is available in king and queen sizes, and offered in a variety of finishes and accents. Upholstery is in COM. With its colonial style elegance, it makes an exceptional bed for upscale residential and hospitality interiors. Custom sizing is available. Named for a city known for its laid back luxury and glamour, the Rancho Mirage Bed was designed by Shah Gilani, ASFD.